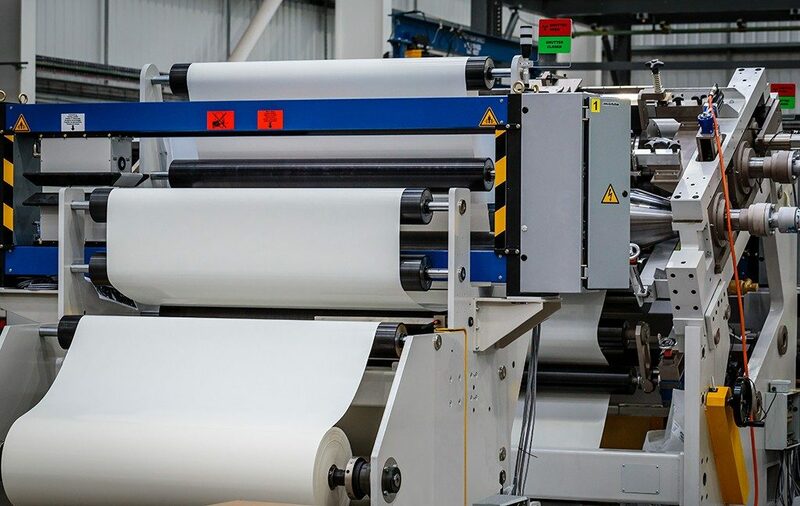 Fibre handling and processing company Cygnet Texkimp will use this year’s JEC to unveil its high-tolerance reverse roll coating machine and invite manufacturers in the high-end prepreg market to take part in secure trials of the technology. The coater is in the final stages of production at Cygnet Texkimp’s UK R&D headquarters in Cheshire, where it will spend the next six months being commissioned for the purpose of trialling precision coating of epoxy resins. The machine is designed to create low coat weight films of less than 10GSM for the aerospace-quality prepreg market and the company reports that initial grinding reps on ceramic rollers have achieved a TIR of less than 0.5 of a micron. “We have an ideal opportunity here to show the market exactly what this machine can do,” says Cygnet Texkimp Managing Director Luke Vardy. “By offering dedicated trials in a secure environment we can prove its capabilities and de-risk any potential investment. Cygnet Texkimp has been manufacturing fibre-handling and converting equipment since the early 1970s and supplies composite manufacturers with complete integrated solutions including creels, prepreg, coating, lamination and consolidation processing lines, tape-slitting and spooling, and filament winding machines, alongside state-of-the-art handling and robotics systems.